Child safety is top priority for us at Sarasota Blinds, LLC. The products we sell become part of our customers’ most personal and safe place, their homes. We are devoted to doing our part in keeping your family safe. As experts in the field of window coverings, we take pride in offering products with up-to-date safety mechanisms and state-of-the-art technology. That is why we are following this very important trend in our industry. The elimination of corded blinds is coming soon! What Does the U.S. Consumer Product Safety Commission State? The U.S. Consumer Product Safety Commission (CPSC) website states, “One child dies every month by strangling in a window covering cord.” That is a statistic that cannot be ignored. 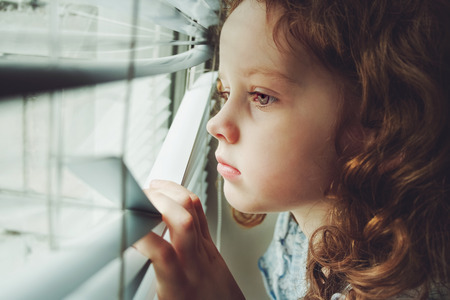 Since 1995, the Window Covering Manufacturers Association has been setting standards for the industry to try and reduce the dangers to children. Educating the public on the dangers of child access to cords and posting warnings on products have long been the standard, but not enough to save lives. Despite other more recent voluntary suggested industry changes, such as designing blinds that use “wide lift bands” as a safer alternative tension device for raising and lowering window coverings, or offering cord covers, reports of child fatalities continue. Manufacturers suggest that the safer tension devices or cord covers are either being installed incorrectly or not being installed at all. In a 2016 CPSC Focus Group Final Report, the group reported that regardless of improving child caregiver awareness of dangers and including safety mechanisms with window covering products, the fatalities of children would continue. They concluded that the “overall goal” is to have only cordless window coverings in every home and business. Although the U.S. federal courts have not yet moved toward outlawing the sale of corded window coverings in America, the State of California has already passed a bill that will inevitably save some lives. The 2015 California bill prohibits the sale of corded window coverings, as of January 1, 2018. In products where the cord has to be present, the cord must be “inaccessible through the use of a passive guarding device, such as a cord cover.” Childcare facilities will have to remove all corded window coverings by January 1, 2019. California is known to guide the country into new safety regulations that eventually become federal law. Sarasota Blinds is taking the lead on this very important change by offering several cordless options for consumers. We will keep you informed on changes to regulations in the State of Florida and in the U.S. regarding child safety for window covering. Follow this blog to stay informed.